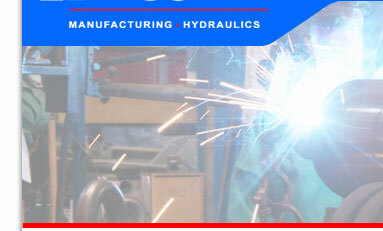 Lincoln Manufacturing, Inc., located in Washington, Pennsylvania, designs, manufactures and repairs hydraulic cylinders used in coal and steel production, while providing state-of-the-art CNC machining and fabrication services. In addition, we are an authorized sales and service center for rotary screw air compressors and related products. Customer satisfaction is our primary focus, and our goal is to provide excellent quality and personalized service. Lincoln Mfg. provides a high quality of repair and manufacture of cylinders, as well as the design of new cylinders and spare parts. Learn More. We have an extensive line of both CNC and manual equipment which allows us to be competitive on small quantity runs, or rush jobs, and high quantity production runs. Learn More. At Lincoln, we have the ability to repair rolls and shafts for all types of industry. We can disassemble, inspect and bring items back to print or OEM specifications Learn More. We have experience repairing Guide Boxes, Lifting Devices, Crane Wheels and many other types of Industrial Equipment. Learn More. Lincoln Manufacturing is a distributor of several lines of equipment such as: filtration and separation products, air compressors and associated equipment, and high quality chains. Learn More.